Successfully saved Baked Champagne Pears with Oat Almond Crumble to your Calendar. You can also save the ingredients to your Grocery List. 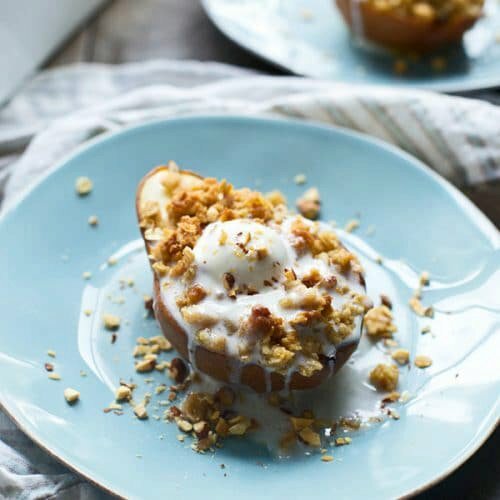 These Baked Pears with Oat Almond Crumble, are the perfect quick, easy dessert for Thanksgiving! Champagne laced with honey is poured onto of the pears, then a simple crumble is sprinkled on top.